Deya Erickson became the British Virgin Islands first Women’s 100m hurdler to break 14.00 seconds over the weekend, when she improved her own National Record. 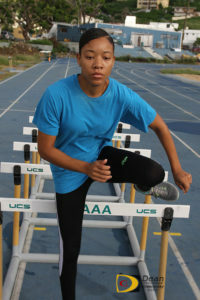 A contender for the BVI Athletics Association Comeback Athlete of The Year Award after a 2016 injury wiped out her entire 2017 season and she only began training in the fall after Hurricane Irma, Erickson eclipsed her 3-year old 14.09 seconds time with a run of 13.98 seconds to place fifth in the Star Athletics Sprint Series in Orlando, Florida. In advancing to the finals, Erickson had a time of 13.85 seconds but a tailwind of +2.4 meters per second over the allowable limit of 2.0 mps, robbed her of a faster personal best. 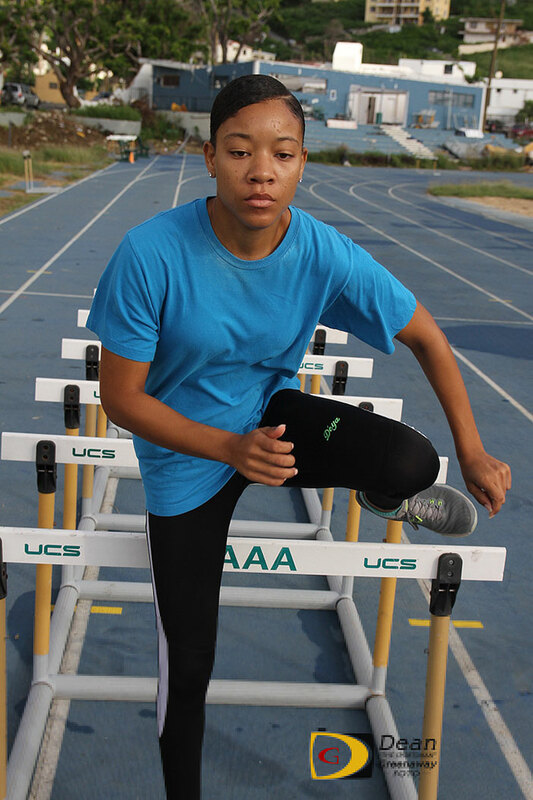 Last month, Erickson, a Turabo University sophomore, won the Liga Atletica Interuniversitaria Justas 100m hurdles, becoming the territory’s first athlete to claim a title in the championships. At the same meet, veteran sprinter Sprinter Tahesia Harrigan-Scott, finished sixth in her time final of the Women’s 100 meters dash, after running 11.73 seconds, the 13th overall time of the meet. She won her heat in 11.60 seconds, running with a 2.2 mps tailwind. In the Men’s 100 meters, the BVI’s Shaquoy Stephens placed 20th overall. He was sixth in his final section in 10.59 seconds after he won his heat in a seasons best of 10.52. Ronique Todman also of the BVI, was 22nd overall after finishing fourth in his final against time with 10.69 seconds. He won his heat after running 10.64. Further south in Florida, at the 43rd Miami Northwest Track and Field Classic, Virgin Gorda’s Raw Skillz track club’s Kaelyah Liburd, won the 13-14 Girls 400 meters with a personal best time of 57.72 seconds. Competing in the NCAA Division I Track and Field Championships in Eugene, Oregon, Clemson’s Lakeisha “Mimi” Warner, ran 59.05 seconds in her 400 meters hurdles to rank 19th overall after the semis. The Tigers sophomore, overcame injuries that wiped out her indoor season to run a personal best of 57.23 seconds over the 10 barriers.